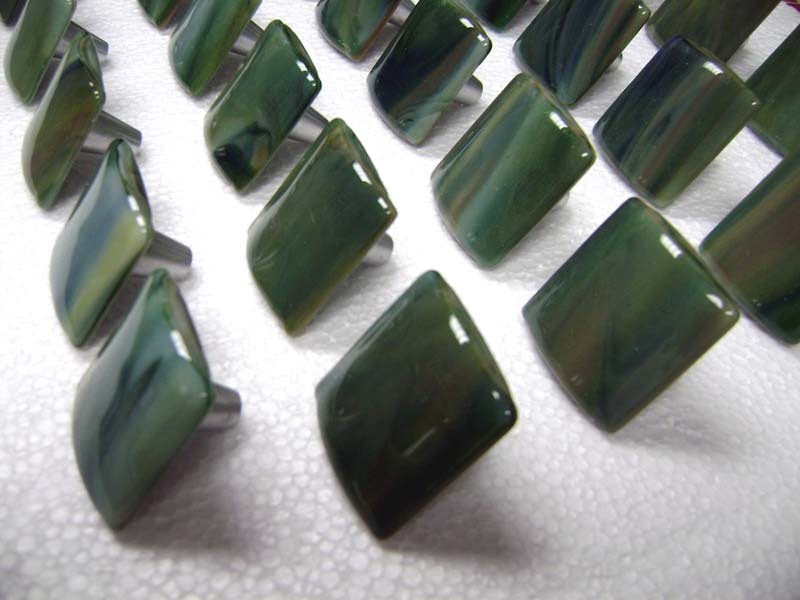 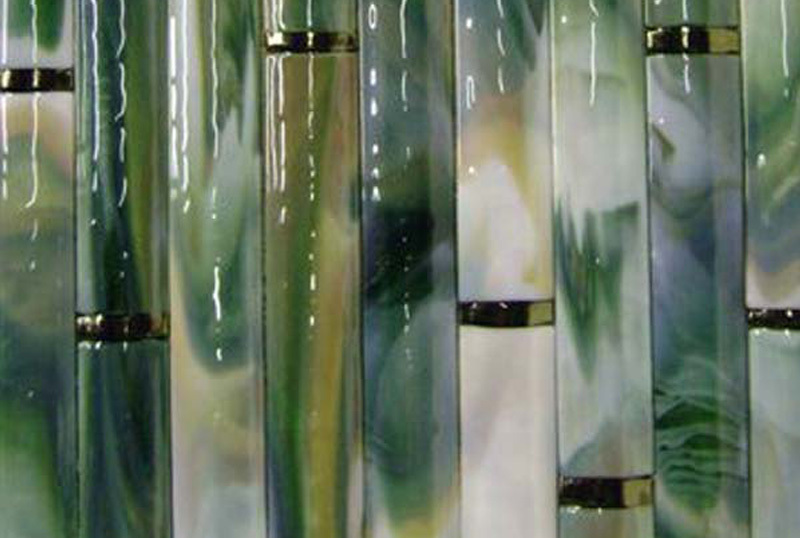 Our innovative rounded, fused glass bamboo tiles have a variety of applications. 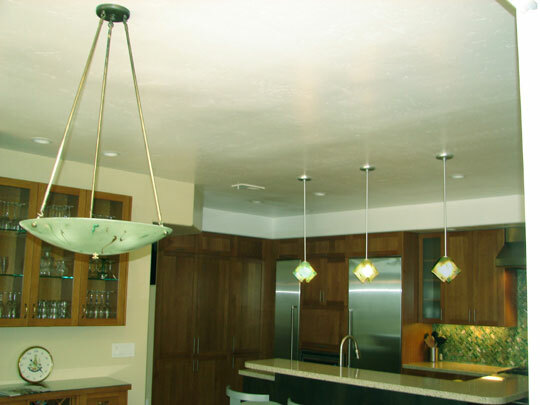 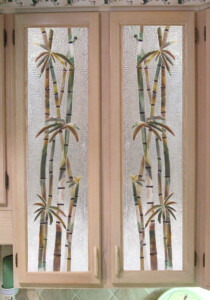 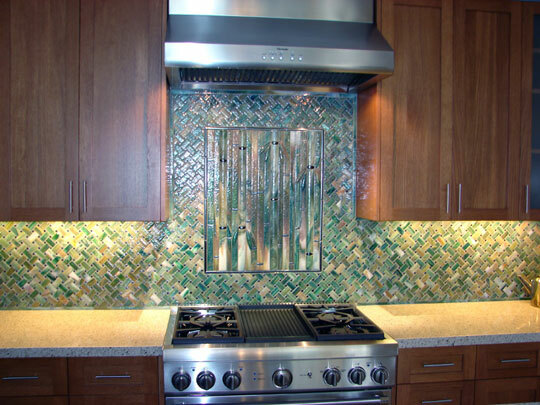 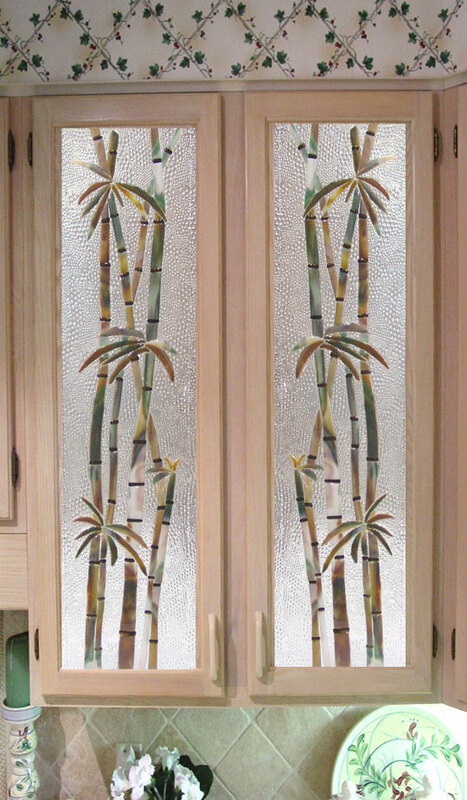 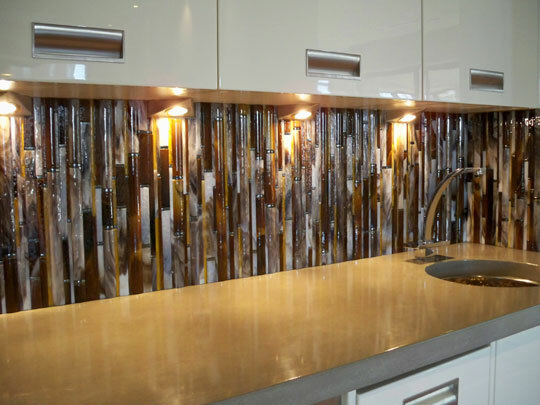 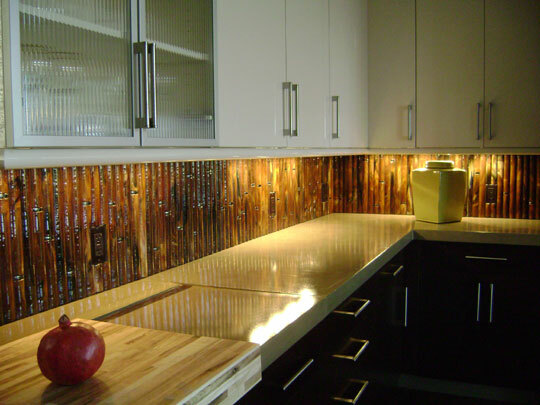 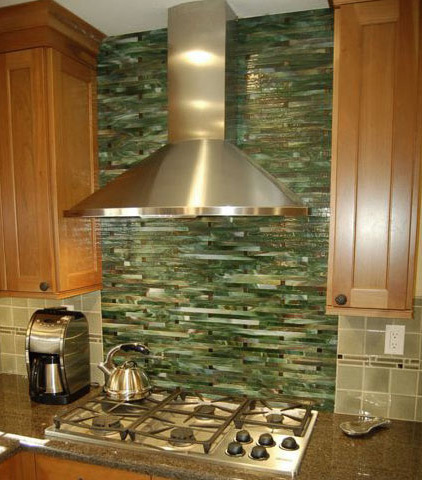 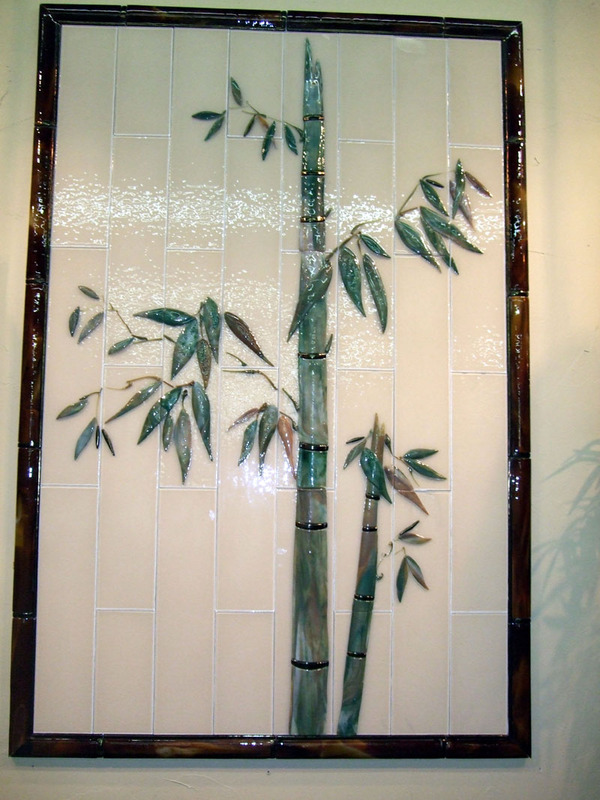 We offer a variety of GLASS BAMBOO TILES for a variety of applications including GLASS TILE KITCHEN BACKSPLASHES, KITCHEN CABINET INSERTS, GLASS TILE MURALS, BAMBOO MIRRORS, BAMBOO PLATTERS, BAMBOO GLASS KNOBS AND PULLS, etc. 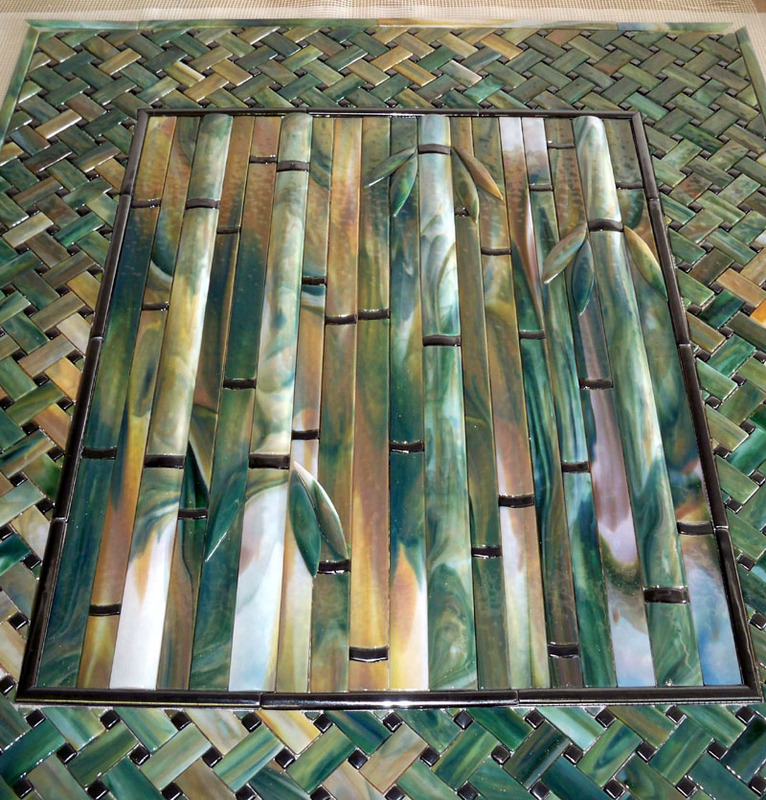 We are able to round the glass bamboo tiles to give them their natural three dimensional look. 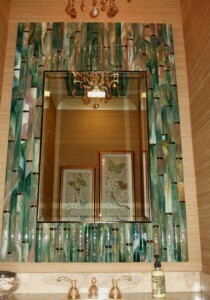 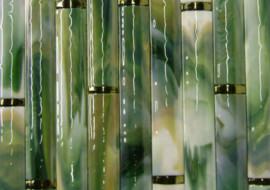 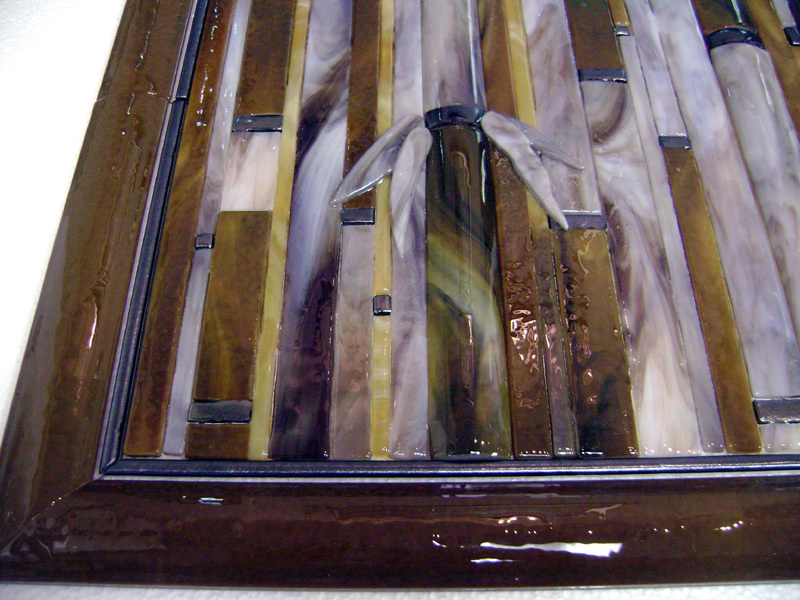 And we can make the glass bamboo tiles in your choice of colors. 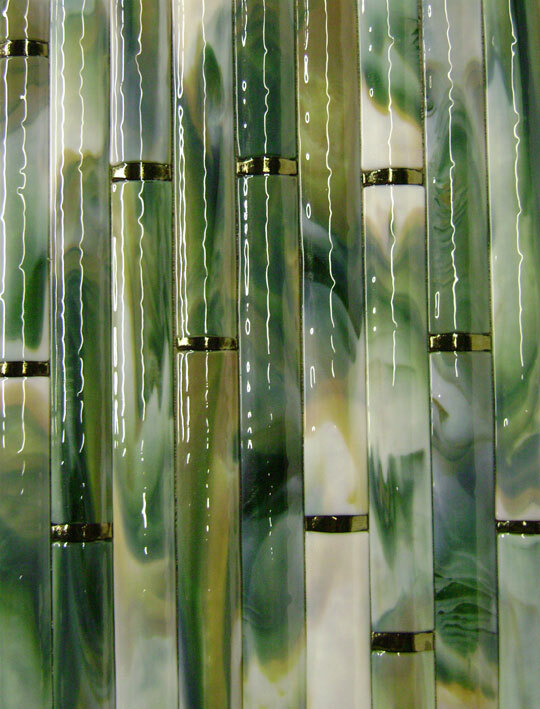 Popular colors include our green/amber/white streaky with iridized gold nuggets and the streaky woodlands glass (shades of brown and black) also with iridized gold nuggets. 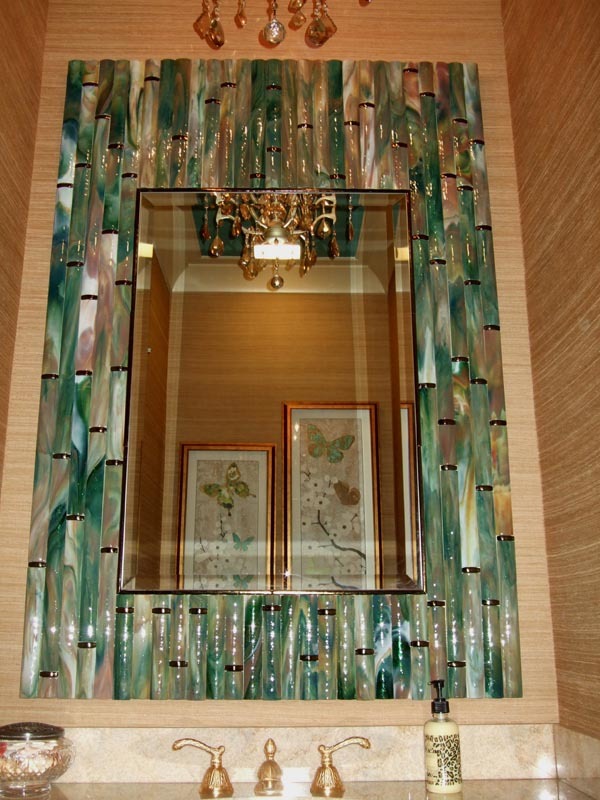 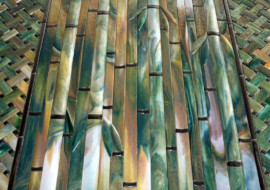 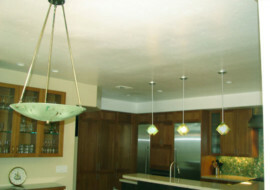 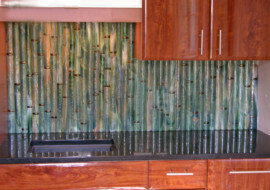 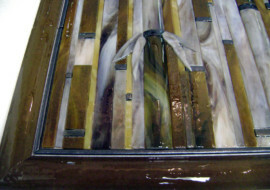 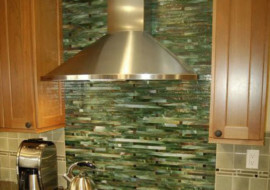 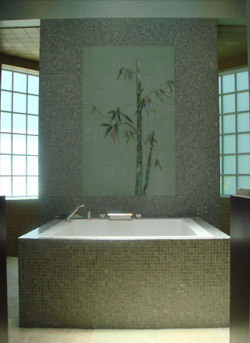 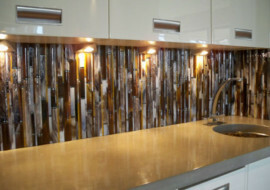 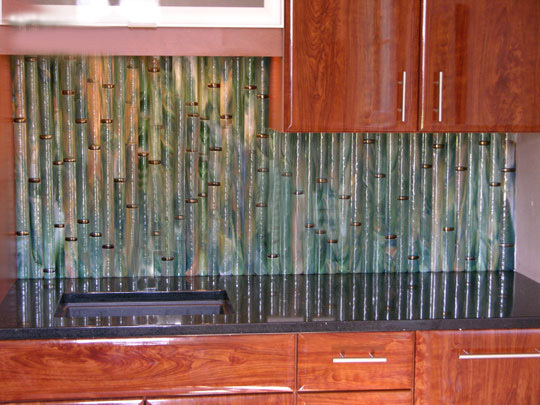 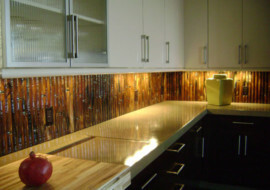 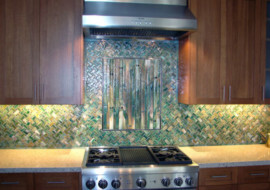 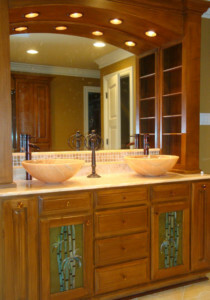 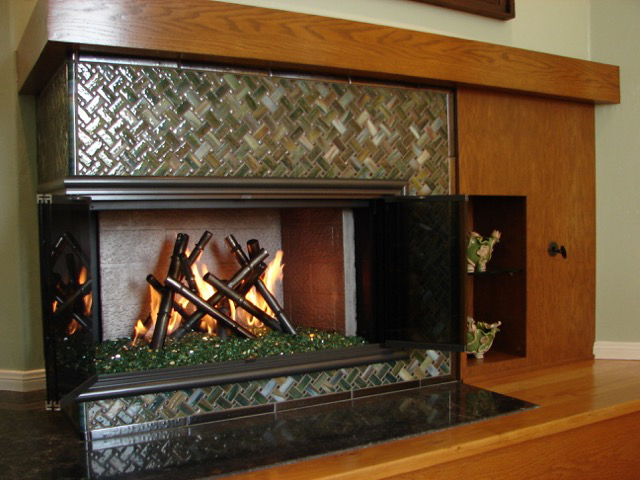 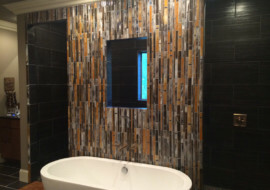 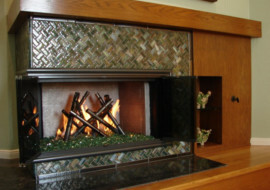 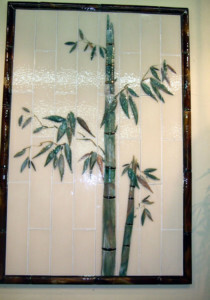 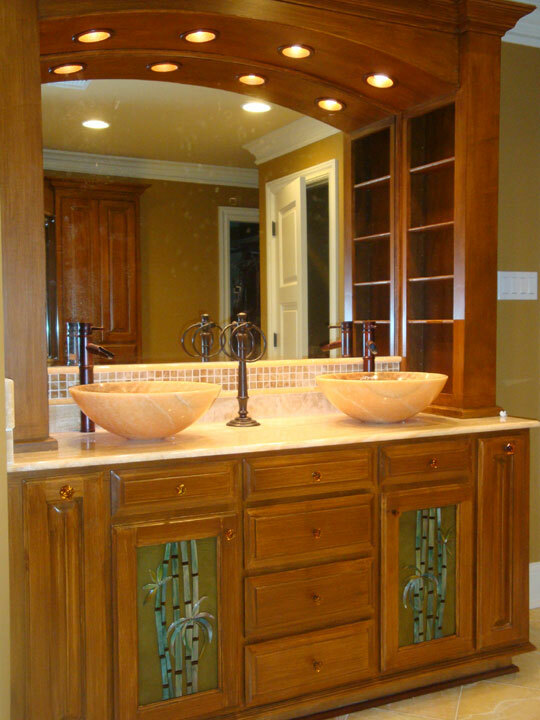 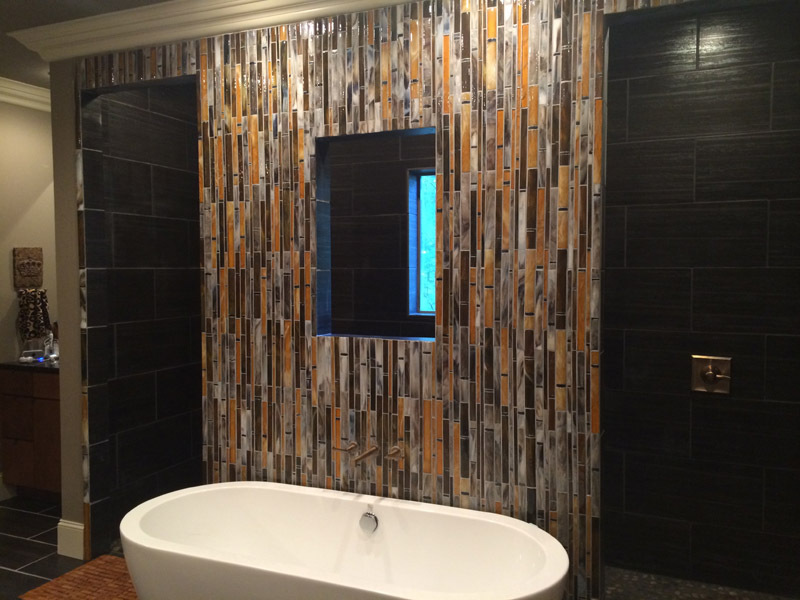 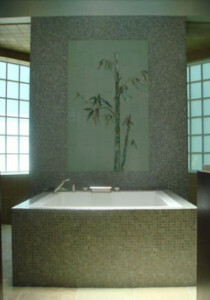 Check out the many examples of our bamboo glass tile applications in the Gallery section below.